Alness Angling Club is a Community Amateur Sports Club, this means we have charity status and the club is run by a commitee of directors, with a chairman, treasurer and secretary. In addition as we are a limited company we have a company secretary who is currently Macleod and Macallum solicitors. 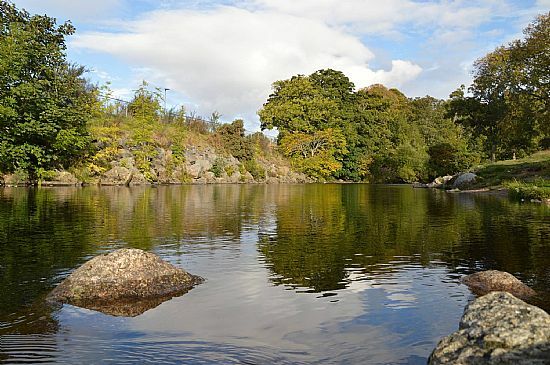 We own and rent fishings on the River Averon which flows from its source Loch Morie though the valley of Kildermorie into the sea at Alness. We are very proud of our little river, which could be described as a classic spate river. When conditions are good - such as when the water is rising or falling, the fishing can be frenetic. The club has a strict conservation policy outlined in the club rules, and we promote catch and release. Favourite flies include Cascade, Yellow Ally's, Stoats Tail all in small sizes. You could also always try a Blackbirds Fancy if you are that way inclined.